Licensed Producers / OrganiGram Inc.
Organigram Inc. is a licensed producer in Canada that has been in operation since 2013. 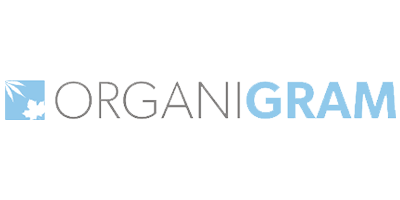 As a Health Canada Licensed Producer, Organigram Inc. is authorized to cultivate and sell medical marijuana and cannabis oil to patients with a valid medical document. They are currently in the process of becoming re-certified to cultivate both organic and mineral grown cannabis. The Organigram Inc. team are proud producers of organic medical cannabis. Their organic growing methodology is subject to Health Canada audits to ensure that all Organigram products are grown in regulated soil, treated with organic fertilizer, without the use of synthetic or chemical pesticides. There is a wide variety of Organigram marijuana products available in the online store. Each strain is listed with its THC/CBD and terpene content, allowing patients to select the most effective strain for their condition. If you are interested in purchasing Organigram products, the registration process is simple. Visit the Organigram Inc. website, complete the registration form online, submit your medical document, and begin shopping. love there products,but the prices are way to high, for affordable medication.other places in canada are charging 7 to 9 a gram,with free shipping. Organigram has been labeling their products as "CERTIFIED ORGANIC". Their product is not organic, they had no right to label it that way. After the recall went out for product that was sold throughout the last year, the truth came out. Selling weed to customers and other LPs that contained higher levels of pesticides than allowable on ANY food. They, and the other LPs are the new big pharma. They care more about the millions they're raking in, than the sick people that need clean product. Always what I need an treated with respect Organigram ?? ordered monday received friday... and i live like 3 blocks away! No refunds are being issued as per company reps, they will only give you a partial discount for future orderds. Takes up to 1 week to deliver. I am prescribed Medical Mannabis for Post Traumatic Stress Disorder & Organigram is my first dispensary & I plan to stick with it. Now that I am more familar with the products & it's effects on me I am able to find CBD rich products which fits my needs. Wide selection which changes regularly. Products arrive in a timely fashion Although with 24-48 hr wait times for online billing payment to be confirmed I recommend placing order first thing in the week on Monday to avoid waiting the weekend for your order to arrive. I can call a few days ahead of when I am able to place an order to provide a desired product list I gathered from the website & am then given a order # to call back with so that when I am actually ready to place my order I can save time on the phone with figuring out my order which helps with the anxiety part of PTSD. Customer service is helpful on the phone & is also good at getting back to me through email with any concerns and/or clarifications I might have or need. 5 stars. Totally recommend.